What makes a start-up successful? Well, it’s optimistic to think that a good idea alone can make you millions, however, just idea is not enough to guarantee success in 2018. The market now is completely saturated and the customer expectations are grown to a level where catering to them all is not easy. Apart from having an out of the box idea, it is essential to have a sound knowledge of the best startup practices. You might be convinced about your idea, but this doesn’t rule out the possibility of people not giving their thumbs up. Possessing the information about what works in the market is crucial for your idea to be accepted by the big players. It is clear that a clever execution strategy along with several other factors is needed in order to take your idea to the next level. To avoid being on the list of startups that fail, it makes sense to perform the necessarily recommended business practices. The most important aspect responsible for a business success may seem like is the founder’s idea, however, turns out it is only a small element of how things may turn out. For e.g. Google’s core idea of interactive web search was, at its beginning- already being implemented by dozens of competitors. Google’s founders’ pans, execution and timing, however, were superior to its competitors. Their lack of originality didn’t hinder them from attaining success. Leadership is significant in startups. Those responsible, make decisions, set the vision and motivate people to work harder towards a collective goal. If an incompetent leader is put in place- the high-level decision will be made less-effectively. Plus, the morale of the team will be down in dumps. Meanwhile, an experienced leader can turn even a weak idea into a successful one. To transform your startup into a king of the industry, it requires the right set of individuals with the same passion, vision and dedication. Scout for the sharpest minds, who share the same ideology to take the business to another level. With skillful team members, you stand a good chance to take giant strides in the industry. Make sure to identify the right candidate for your assignment and assign the roles to climb up the success ladder. Many entrepreneurs put too much value on their idea and neglect to value their employees enough. “‘Acknowledge the fact that you can’t do everything alone. So, recruit the right people, make them grow, and keep them happy. Also, ‘don’t be afraid to fire the wrong ones” – Mike Khorev, Digital Marketing Strategist. After you have come up with a unique start up idea, the first task that any entrepreneur should ask themselves is ‘who is my targeted audience? Who will be interested in my service or product? You must consider the potential customer’s demographic – like gender, age, relationship status, hobbies, disposable income level etc. Sometimes, you need to dig deeper in order to detect the buyer’s persona. Customer needs, wants, ambitions and the loopholes that your product/service can solve. The best way to go about with this to interview as many varieties of people belonging to diverse demographics. For e.g. – Hashcut a US based Media and Entertainment startup CEO Vijay Koduri explains how they found their niche market – he interviewed a number of YouTube enthusiasts, creators, gamers and many more people asking them about their habits and strategies around YouTube watching, clipping, sharing and more. At the end of the meet, he showed them their product HashCut (which allows you to make clips, memes and mashups of any YouTube videos) and asked them how would they use Hashcut. This helped them identify who their core audience was and then their re-positioned the website, the social handles as well as their marketing strategy based on their findings. After identifying the niche, start small and focus on being better for the focused group of users. Achieving the product market fit is difficult for startups especially those in the primary stages. This is because it requires an understanding of your target market. You can only win the prospects’ trust if you are solving their real problems with your service or product. Greenpal, a lawn mowing service’s co-founder Gene Caballero comments “Make sure you are solving a big enough problem. If your company’s problem is not 10X better than the traditional product or service, it will be difficult to have a product-market fit”. He furthered that you need to talk to family, friends, strangers and co-workers to figure out if they would pay for your service/ product rather than just asking if they ‘like’ it. It is better to charge your very first customer, to see if they are willing to pay for the service/product. Regardless of your business model or who you cater to, it is important that you network- as it is beneficial for you in one way or another. As a start-up founder, you will have to network with the potential buyers or to the similar audience to detect their want and needs. Likewise, networking with influencers can also get you a valuable review of your product/service. If you need some investments to launch your business, talking with investors will reveal what kind of business they would like to invest in and what do they analyze before investing. “Meetups can help you find like-minded people and avoid bottlenecks. Find an industry professional to test your product and learn from their experiences” says Monica Barrette Founder at Monica Barrette Agency. One can’t be stubborn for a change of business model in the present competitive business world. As an entrepreneur, it is necessary to be ready for modifying the business model as per the nature of the market. Take the customer or market behavior into account and study it thoroughly to bring about a strategic change in the products or services to move in the right direction. In short, be open to pivot or evolve through the necessary iteration to prosper. Never take a back step or shy away from experimenting for the growth of the business. Timing is one of the critical factors from a competitive point of view, and it’s led many businesses to prominence despite the chaotic and busy market at the time of entry. For e.g. when YouTube arrived in the market, there were already dozens of video-streaming platforms available. YouTube, however, was launched at a very critical time, i.e. when the high-speed internet had become the norm but before any other video streaming had risen to prominence. Thus, it enjoyed a radical early success. You need to understand the behavior and the lifestyle of your prospect before you target them for marketing activities. For e.g. if your target demographic is in between the ages of 19-25 years old, you can place a safe bet on using social media platforms as the right channel to approach them. “If you have a business service, announce it on the radio so that prospects can hear your message while in the car thinking about work. If you have a consumer product, reach out to the trade media so that it’s on the radar of the retail buyers. Also, the old adage is true. You have to spend money to make money. And, if you have a killer value proposition, this will pay off tenfold” sums up Linda Parry Murphy of Product Launchers. Never take any competitor or rival for granted. This is one factor one should never neglect or you will lose ground quickly. Always monitor what your competitors are up to it and identify the different types of rivals. Basically, the competitors fall under the indirect and direct category. The companies that belong to the same industry with a similar target audience come from direct competitors. Well, the indirect competitors are those products which are the perfect substitute for your niche. Perform the research on your competitors to maintain the cutting edge. Half of the startups fail due to lack of funding. Don’t let this be in your case by planning out an ideal funding process. To meet the capital resource, identify the right funders and build a healthy relationship before asking for funds. Reach out to the funders, angel investors and more that are interested in your business idea. This definitely increases the prospect of shaking hands with the legitimate funder to kick start the business. You need a good strategy for how you respond to a crisis. This is far important than how likely you are to avoid one. Just one poorly handled crisis is enough to put the company under. Therefore, it is essential that you carefully contemplate over your crisis response plan. A business will survive only with result-oriented marketing strategies. One of the ways to meet this objective is by having a firm grasp about growth hacking tools. This provides the desired impetus in enhancing the customers and effective conversion rate. The scalability of your business will foster by masterfully utilizing the social metrics, creativity and astute analysis. 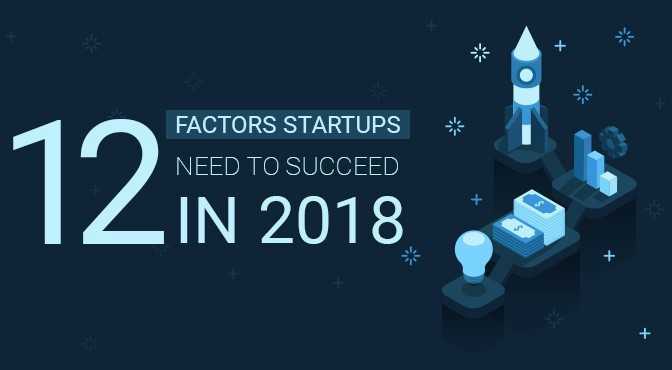 Keep a note of these effective and successful factors for startups. Now, the ball is in your court. Play it well to win and continue winning.